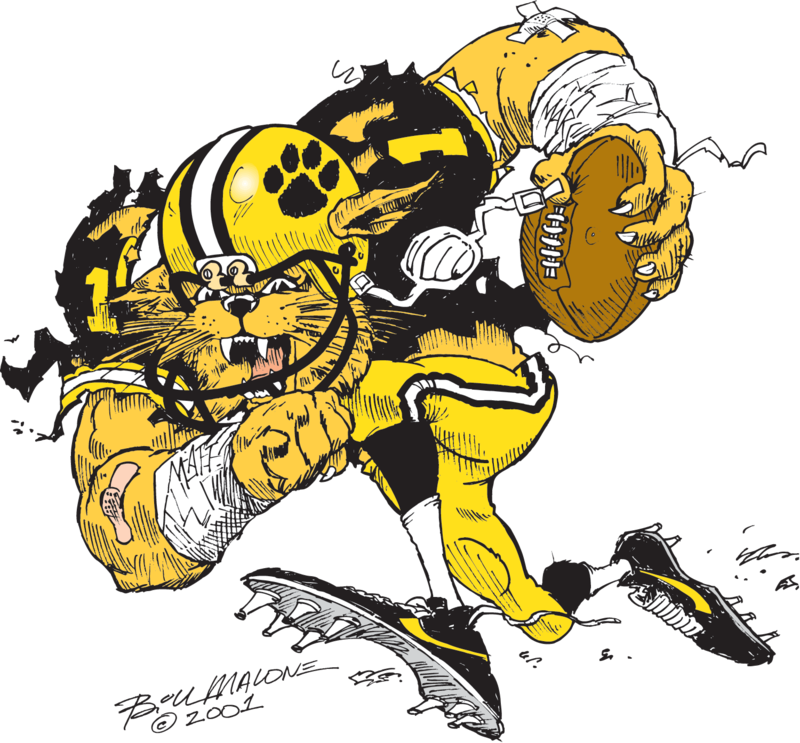 The Wildcat Nutrition Program, affectionately called Feed the Cats, is a special initiative of the Valdosta Touchdown Club. It is a concerted effort by coaches, parents, Touchdown Club members, and the community to develop and deliver a Championship-building nutritional program for the Valdosta Wildcat Football Program. Feed the Cats was implemented October 2015. Due to current government regulations of school nutrition departments around the country, our young athletes are not receiving an adequate amount of food that meet the nutritional needs of a growing young adult. Students who are athletes require additional nutritional and caloric needs in order to build and strengthen their bodies to stand up to the rigorous demands of football at the top high school level. The Wildcat Program seeks to assist in supplying a sufficient amount of nutritional food and supplements to our student-athletes to help them reach their potential and develop championship form. The mission of the Wildcat Nutrition Program is to develop, cultivate, and produce an in-depth and extensive nutrition program to supplement and enhance the education, strength, conditioning, and champion-building efforts of the Valdosta Wildcat Football Program. In order to supply our student-athletes with the adequate nutrition and fuel needed to perform at a Championship level in the classroom and on the field, it will take a concentrated and dedicated effort from the Wildcat Nation and our community. Everyone can be a part of this vital and important mission by supporting the Feed the Cats with whatever time, energy, and resources they can offer. “Feed the ‘Cats” is totally operated on contributions from our Wildcat Nation and our community. We have been so blessed by the contributions of our community and we are so thankful to all who have supported this great initiative. We will need the continued support of the Wildcat Nation and the community to keep the program going that these athletes so desperately need. We need volunteers to help serve and cook (both breakfast AND supper) as well as monetary donations. The morning duty begins at 6am and the evening duty begins at 5pm. SIGN UP BELOW IF YOU’RE INTERESTED IN VOLUNTEERING. Joining the Valdosta Touchdown Club is another way to help fund this effort. Your money goes to the needs of the player! We encourage all to join the movement of “Feed the ‘Cats.” With your help, we can make a difference in these athletes lives. Donate Now & Help Feed the 'Cats!